Introducing the Taylor MBS (Mini Broad Sword)! $5.00 Per Knife or ($5.00 per knife - 1-4 knives) / $20.00 For Five Knives or ($4.00 per knife - 5-9 knives) / $35.00 For Ten Knives ($3.50 per knife - 10+ knives) / $5.00 Per Pair of Scissors / Lawnmower Blades and Garden Tools are by Quote Only / Overnight Service. The knives will be sharpened the day received and returned the next day. If received by mail, they will be placed in the mail to be returned the day after received. Mail service must include sufficient funds for return postage. Cash, Cashier's Checks, Money Orders, and Credit Cards accepted. No personal checks. / We also provide a full range of service and repairs for your knife or edged tools. Cost and time involved depends on the piece and type of work. Contact me for quote. The Best Knife Site On The Internet. The Most Comprehensive Database Of Custom Knifemakers. Absolutely The Most Complete Collection Of Knife Related Links Ever Assembled. 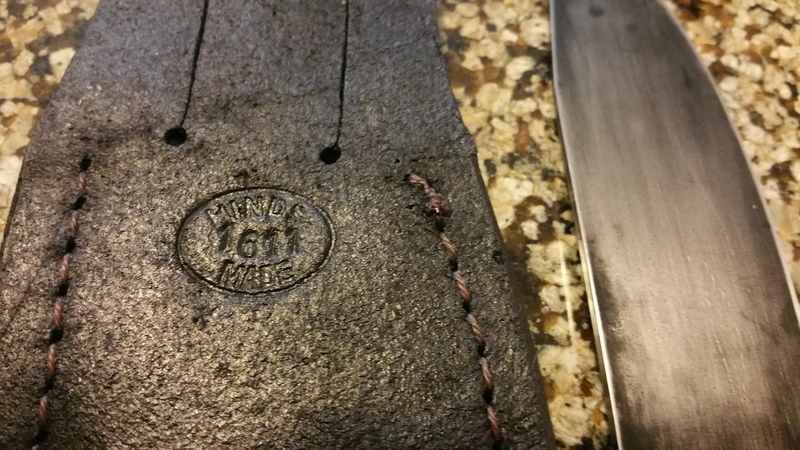 To Become An American Bladesmith Society Mastersmith. To Become A Voting Member Of The Knifemaker's Guild. To Be Better Looking Than Brad Pitt. Mon-Fri 6:00 - 8:00 p,m. Sat & Sun 9:00 a.m. - 5:00 p.m.